Europa Star is the 90-year old most respected watch industry publication. It remains family-owned and now at the helm of the fourth generation. Its editorial stance is in-depth, intelligent, and unbiased. A total renaissance is possible with mechanical watchmaking. On close examination, Europa Star brings to light that, “at HYT, they take the form of liquids and capsules […]. 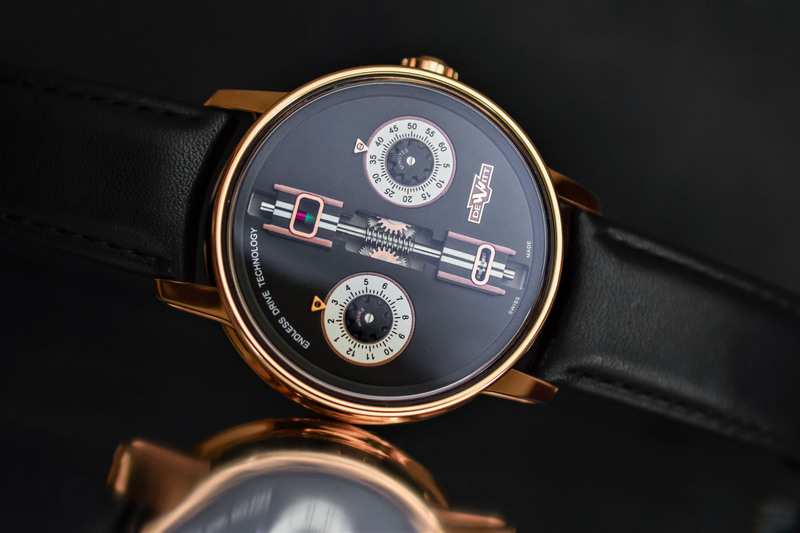 Greubel Forsey is conducting advanced research into nanotechnology, while Dominique Renaud is focusing on micro-pivots and blades. And those are just some examples […].” One such brand in our view is Hautlence. The brand embodies outstanding technological features in their collections. Their new model, HL Newton, integrates jumping hours mechanism – classic you will say but wait for it – with the force of gravity. Not only can you watch the beauty of a jumping hours feature, you can also choose when. Indeed, should you not wish to look at the time, the watch turns on mechanical standby mode. There are other industries that are tightly relevant to watchmaking technologies. The DeWitt Endless Drive, for instance, has its own interpretation of car engineering, very close to Mr DeWitt. Its power reserve display is indicated by an “endless” worm screw. The screw induces two rotating discs which indicate the hours and minutes respectively, at 3 and 9 o’clock. It also features other automotive-inspired elements such as the “car radiator grille” motif. “As for Robert Greubel and Stephen Forsey, they are exploring the astonishing possibilities of nano-mechanisms. At the 2018 SIHH, the duo showcased a fully implemented prototype of their Nano Foudroyante EWT. These exciting attempts truly cast light on what mechanical advancements may evolve into. Now, do you think a watchmaking renaissance is possible?